I’m Tim Friedrich, a Cincinnati website, logo and graphic designer. I can ideate, build and deliver any creative asset for advertising. 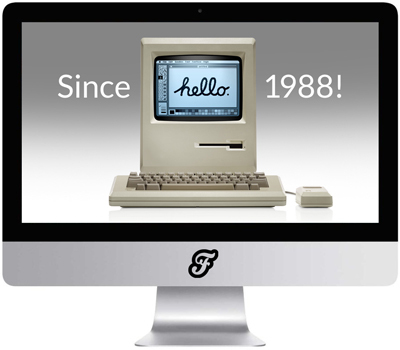 Friedrich Advertising is also part of a freelance network of independent Cincinnati specialists. In addition to excellent creative, our team provides website hosting, SEO, SEM, radio and tv production, media management and photography. Because we are independent partners, you never pay more than what it takes to complete the campaign at hand. "For over three decades, I’ve stayed current on design and technology trends. I’ve enhanced my capabilities and outlasted many competitors. Today, I am prepared to bring a portfolio of best practice creativity to your next advertising project." 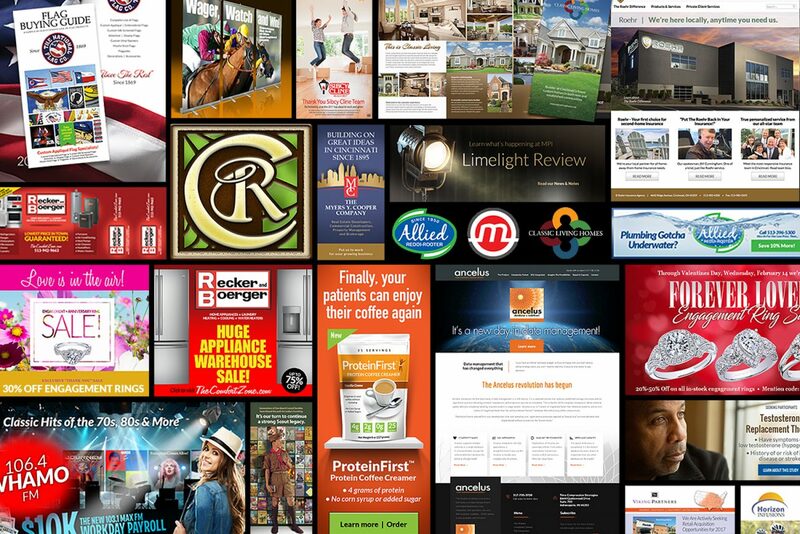 Friedrich Advertising is an ideation partner for your business. Tim Friedrich is a Cincinnati freelance graphic designer who specializes in unique creative that is specific to your business. All work is additionally managed through the entire production process, delivering assets on time, as promised and within budget. Below are our core services. Custom designed and coded, built from a template, or simple landing page websites to fit your need and budget. We are Joomla experts also! Ongoing website oversight ensuring optimized copy and visual elements, current promotional content, and security/performance updates. We author, manage and analyze scheduled social/blog content and visual graphics suited to your business and customer interests. On-page SEO to build internal website performance. Off-page SEO to build link relationships. Both to help improve your organic page ranking. In-house prepared ad creative and keyword-rich copy are placed in partner management for ongoing Display and Search Network ad campaigns. Managed SSD Cloud Hosting plans optimized for dynamic online applications. SSL and backups are included as a standard feature. From an idea on a napkin, to multiple concepts, multiple refinements and formal logo standards – we’ll deliver a long-lasting icon. Taking a rough product concept through immersion, creative, approval and mechanical stages, delivering accurate art for printing. As a print manager, we design, prepare art mechanicals, source vendors and oversee anything through the entire print process. We are experts at the full mail cycle. From list development, to creative design and message, to printing and mail services. We deliver! Drivers have short attention spans. We provide memorable, brand-focused creative messages that get to the point in 4 +/- seconds. Friedrich designs, helps build lists, sends and analyzes monthly camapigns. We’ll make your email soar through Constant Contact. Each company has a unique story. Friedrich Advertising can organize and create persuasive messages through the printed word for your business. Excellent In-house creative and project management, plus partner production guarantee audio, video and music that mirror your brand. Whether your team arrives in a semi or minivan, make your convention or exhibit stand out with our turnkey graphics and partner production. Photoshop retouches the world’s imperfections. Make any image pixel-perfect with our photo editing expertise. From employee bio images, to placing a sunny day behind your headquarters, to collaging products, or rendering from thin air – we can make any image a sharper image. Our customers are the best! Thanks to all for your kind comments. Tim Friedrich has proven to be an excellent partner for our advertising creative and media management. We are regularly impressed with his creativity and get results from his devoted efforts for our company. Our thanks to Tim and his associates for helping us create the best custom home builder website in Cincinnati. We feel it is a perfect reflection of our business and would recommend Friedrich Advertising to any business seeking outstanding workmanship. Tim was very easy to work with and was very competitive. We love his follow up and especially love that he makes something that is difficult for us, so easy. We get compliments all the time and appreciate his skills in making us look professional. Tim is great! They did a wonderful job on our WordPress website. We continue to get compliments from sponsors and patients on its clean design and ease of use. Tim provides NHCR with graphic design services in numerous other ongoing areas. We highly recommend his company! Tim does great work. I always get what I need to grow my business in a prompt and well thought out design. He proactively provides ideas that lead to a better product I know I can depend on. We have used Tim’s expert design and marketing experience for our community theater for several years now and couldn’t be more pleased. He redesigned the entire site, and directed us to a local ISP. His insight and suggestions are right on the button! We now have a very responsive site that has greatly improved our marketing efforts.